So my Facebook feed is chock-full of back-to-school cuties. As a newbie parent, it’s forcing me to think about how I’m going to approach school-ness when my little guy gets older. I even dug up this gem: 5 Ways to Help Kids Get Through School Jitters. Among the tips: Journal, talk with your kid, and show your child where they’ll be picked up. I found a whole bunch of great back-to-school posts in some pretty great education blogs. Here are some of my favorites. “We emphasize core strategies: project-based learning, comprehensive assessment, integrated studies, social and emotional learning, educational leadership and teacher development, and technology integration,” the site says. Edutopia has a Back to School section that features some amazing and helpful posts. Among them: 7 Questions to Ask Parents at the Beginning of the Year, Back to School: A Surefire Strategy for Building Classroom Community, and Parents: 19 Meaningful Questions You Should Ask Your Child’s Teacher. The site itself belongs to School Family Media Inc., a marketing and media services company that promotes practical and meaningful parent involvement at school. This is a great site. I enjoyed several posts, but my favorites include Ease Back-to-School Stress, When You’re the New Mom (or Dad) at School, and 15 Tips for Managing the After-School Activities Juggle. That last post, in particular, hit home. I know a great many friends are figuring out balance and how to make it all work. Some of the tips that I found helpful in the post include honor the family meeting, get the activity bags ready, empower your kids, and different kids need different tools. The editor of the blog is Erin Wilkey Oh, who taught English for non-native speakers at a community college and 11th and 12th-grade English at an urban public high school, the site says. Some posts that caught my eye on Graphite include 13 Apps and Websites for Improving Parent-Teacher Communication, 5 Strategies for Teaching Close Reading with Tech, and How “Hard Fun” Promotes Passionate Learning. P.S. Ever wonder how we come up with ideas for our blog profiles? Our handy list of industries and subjects on PR Newswire for Journalists stays top of mind. 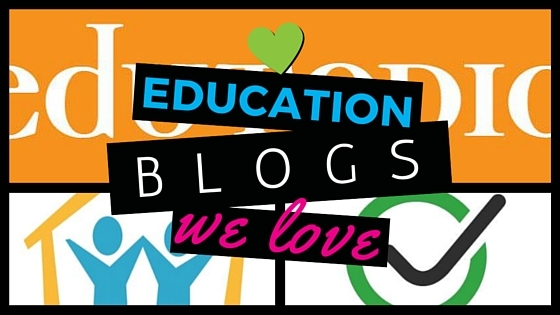 If you’re a blogger or journalist looking for education news, let us know. We can customize a newsfeed for you on PR Newswire for Journalists. Christine Cube is an audience relations manager with PR Newswire and freelance writer. She has liked a zillion-and-one Facebook photos of cuties with their backpacks. Honestly, keep ‘em coming. Follow @cpcube or check out her latest on Beyond Bylines on PR Newswire for Journalists.